From global phenomenon C. S. Pacat comes the first in her critically acclaimed trilogy—with a bonus story.Damen is a warrior hero to his people, and the rightful heir to the throne of Akielos. But when his half brother seizes power, Damen is captured, stripped of his identity, and sent to serve the prince of an enemy nation as a pleasure slave.Beautiful, manipulative, andFrom global phenomenon C. S. Pacat comes the first in her critically acclaimed trilogy—with a bonus story.Damen is a warrior hero to his people, and the rightful heir to the throne of Akielos. 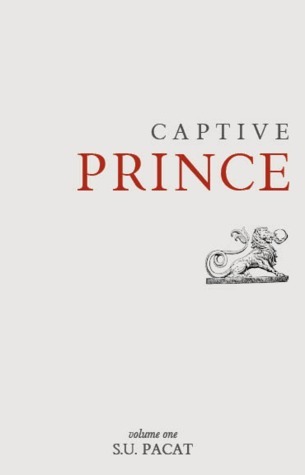 But when his half brother seizes power, Damen is captured, stripped of his identity, and sent to serve the prince of an enemy nation as a pleasure slave.Beautiful, manipulative, and deadly, his new master, Prince Laurent, epitomizes the worst of the court at Vere. But in the lethal political web of the Veretian court, nothing is as it seems, and when Damen finds himself caught up in a play for the throne, he must work together with Laurent to survive and save his country.For Damen, there is just one rule: never, ever reveal his true identity. Because the one man Damen needs is the one man who has more reason to hate him than anyone else…Includes an exclusive extra story!